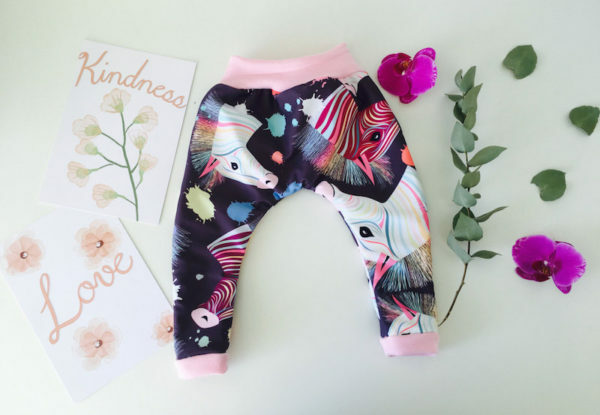 Ponies and children go hand in hand and while Australia may not have the seaside pony culture of our British motherland, it needn’t stop us from making our kiddo’s pony-loving dreams come true! 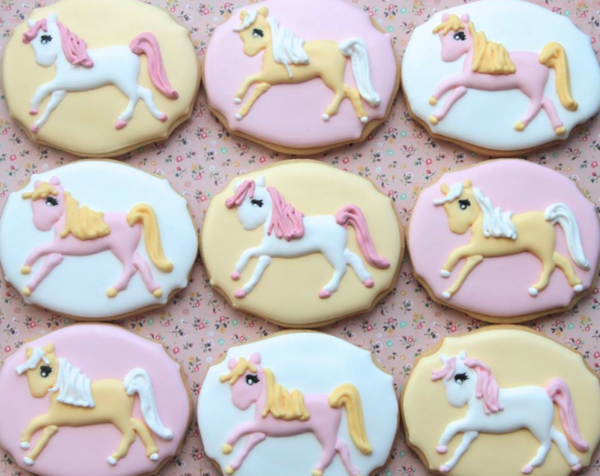 Pony biscuits are the only biscuits and these ones are guaranteed to delight! *whinnies* *stamps foot approvingly* These snacky delights are from the very clever Miss Biscuit. 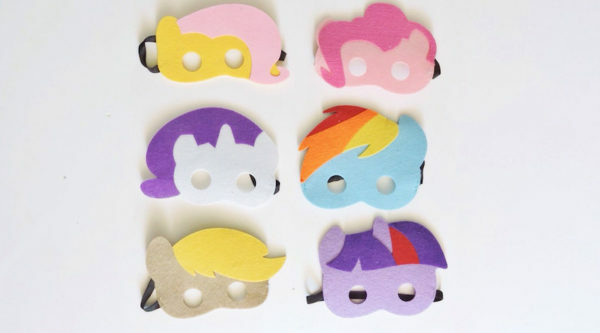 The kids in your life can transform into well-mannered and indoors-y ponies with these cute masks. We really like their pony hair-dos. Snap up some pony masks at Loopsy Baby. This pretty appliquéd t-shirt is the perfect mix of colour, print and pattern. 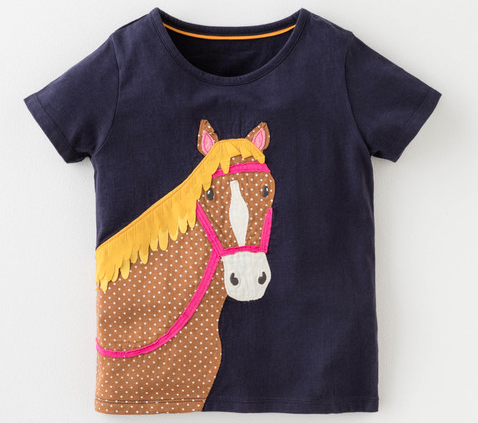 If only this came in grown-up sizes… Saddle up, tee-style with Boden. Rocking horses are a bit of a childhood rite of passage. This one has cuteness and safety in mind. Get your child rocking on, kiddo-style, with some help from Hip Kids. Another cute ride-on, this one has an adorably fetching pink mane, guys! We are guessing this guy sleep trots and we wish he would trot over to our house this minute. 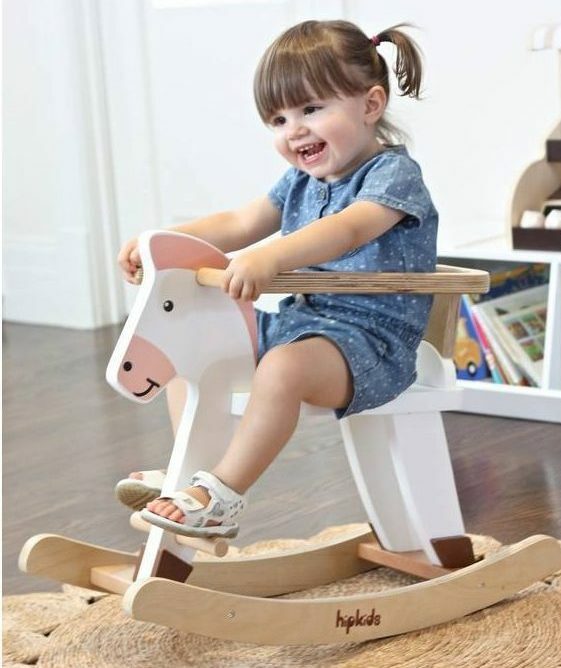 Snaffle a cute hobby horse at Mini camp lt.
A snuggly horse pal could be the perfect bedtime companion for your favourite little person and is modelling excellent bedtime behaviour (closed eyes, ignoring bats, etc.) Order yours from the clever folk at Milipa. This balloon is basically the nicest one in the whole entire world and it will create a party wherever it shows its cute horsey face and fancy hooves. Snap yours up at Colour and Twine. Look. It’s practically a pony. It’s just a tiny bit different. Don’t hold that against it. Diversity is really important, even in the pony world. Buy your favourite kiddo a unicorn costume at Sparrow and B Costumery. 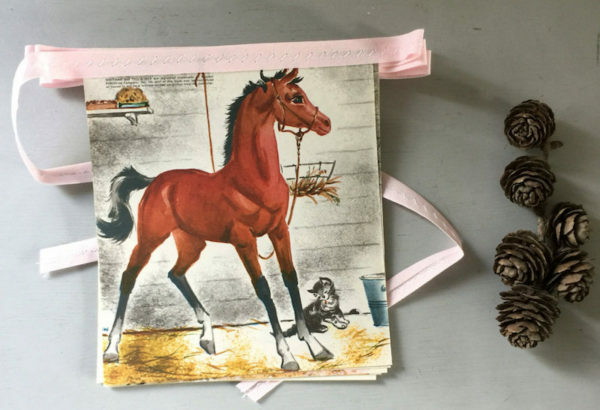 The crafty geniuses at Nana Betty’s House have repurposed vintage storybooks into festive pony-themed bunting! *claps* We don’t even mind that they tore up books, because sometimes books have a higher purpose (high up near the ceiling in your kid’s room, perhaps?) Order yours at Nana Betty’s House. Admittedly these are a pony ‘ring-in’ too, but they’re so gorgeous and pastel rainbow-y we could not let red-tape get in the way of them making an appearance! These fancy pants are from Archie and Mee. 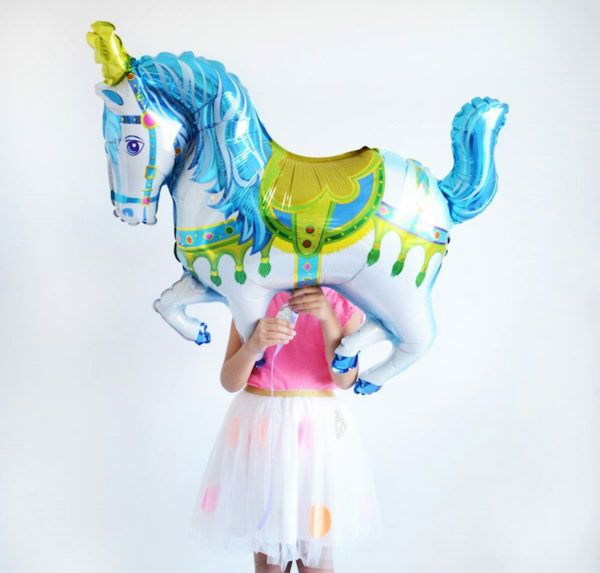 May these delightfully perfect pony products have you and your child cantering around the living room in adorable style!